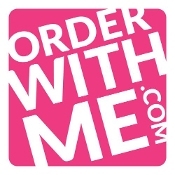 OrderWithMe.com, a China and Las Vegas-based cloud central ordering platform for small business owners, closed a $6m Series B funding. Backers included Vegas Tech Fund, BaseVC, Tony Hsieh, other local Las Vegas-based investors as well as previous investors Infinity Venture Partners, SOS Ventures and Silicon Valley Bank. Led by Jonathan Jenkins, OrderWithMe’s founder and CEO, and Danielle Jenkins, co-founder and VP of culture & community, OrderWithMe provides a cloud-based central ordering platform for small business owners to build, manage and track purchase orders, communications and payments to all their vendors in one place. It also aggregates the buying power of small businesses with others in the same industry to provide them volume discounts from their suppliers. The company is also a TechCrunch Disrupt Winner.